Keeping up with the 'bold' theme, Custom Kicks is a polish I bought ages ago and have only just tried. I'm undecided about how I feel about this colour. I love it in the bottle but it's not really my colour and not very flattering on my skin tone. I think I'm more of an autumn/warm tone person. 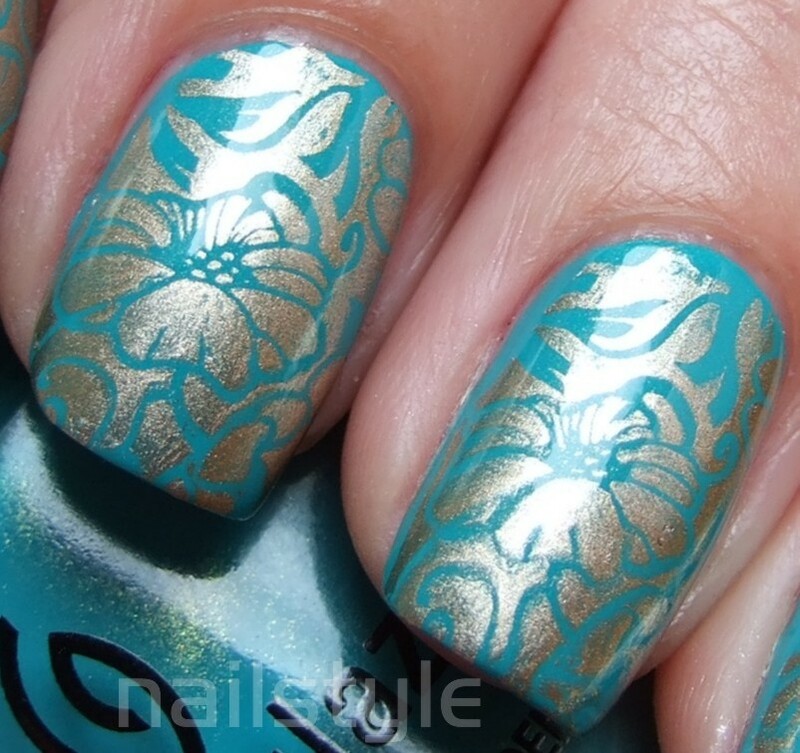 The colour is a vibrant light teal or aqua with loads of gold shimmer which is more obvious in the bottle. Nevertheless it's a very nice polish to apply. It is a somewhat thick formula but applied very easily and this shows two thick coats which dried quickly. In fact I'd almost say if you were careful this could be a one coater. Love it! I have yet to use this stamp...I need to! I have to use this stamp! So pretty!!! Such a lovely combo! I freaking love this!